Now that Malachai is [6, 7, 8, 9, 15] will you change the tagline on the banner? 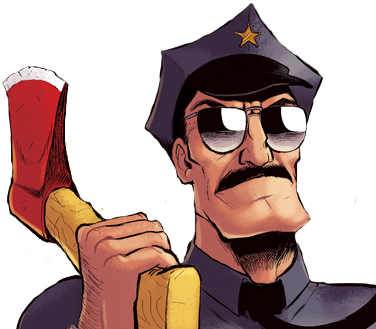 Since Axe Cop was created when Malachai was 5, we will keep the age 5 on the banner, but the credits to him on stories when he is six will say his age, so we know how old he was when he wrote each one. My age will change on episode credits when appropriate also.